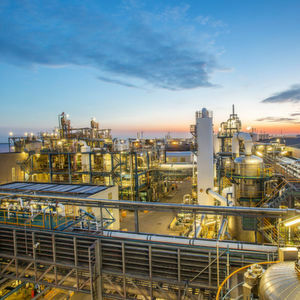 Amsterdam/The Netherlands — The company is preparing to invest in a second, independent production line for chlorine and caustic soda and will also implement a series of other upgrades, starting with the implementation of new 'e-flex' technology, which automatically adjusts production in line with electricity supplies. 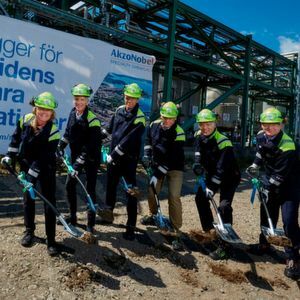 The new production line, which is due for completion by 2021, is to ensure a continuous supply of chlorine, including when one line is undergoing maintenance. It also enables the company to expand production capacity in the future to accommodate further demand growth. The Rotterdam plant is at the heart of an important industrial cluster for several essential chlorine derivatives including PVC, epoxy resins and polyurethane. Knut Schwalenberg, Executive Committee Member responsible for Industrial Chemicals, said that chlorine was an essential raw material for products ranging from pharmaceuticals to lightweight products such as epoxy resins used for wind turbines. To safeguard a continuous supply in the future and to further improve safety and sustainability, the company plans to turn the site in Rotterdam into the most advanced chlorine plant in the world, he added. The 'e-flex' technology, implemented this month, uses data analytics to automatically adjust chlorine production levels in line with changes in electricity supplies and thus optimize costs. Using flexibility — both in chemical production and electricity generation - will also help energy providers to balance large swings in supply from renewable sources such as wind power. The Rotterdam site has the biggest single-line electrolysis unit in Europe, with a production capacity of over 630,000 tons per year of chlorine, as well as caustic soda and hydrogen. The company is currently preparing the permitting documentation for the new facilities and construction is expected to start in 2019.